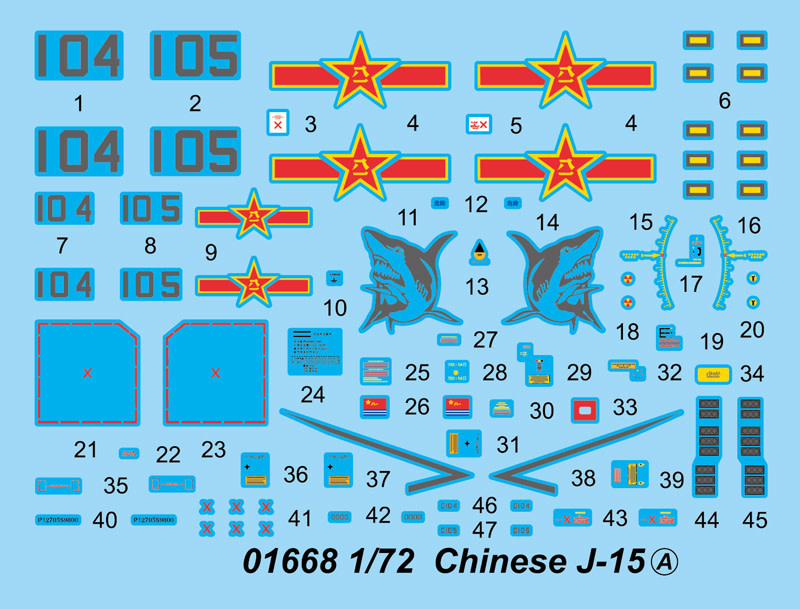 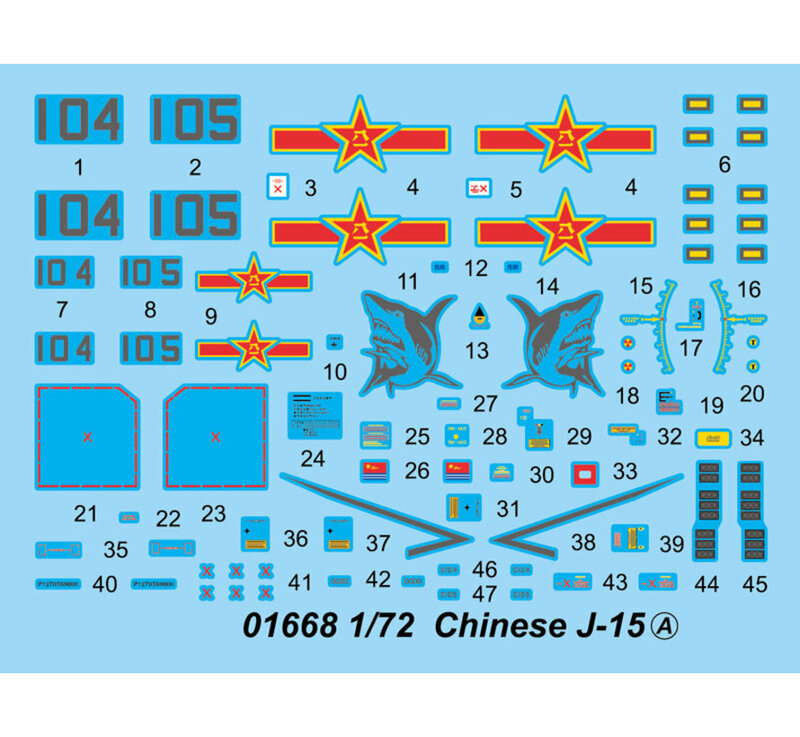 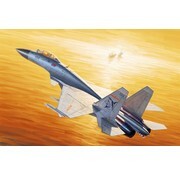 This is a plastic model of a Chinese J-15 in the scale of 1/72 by Trumpeter scale models. 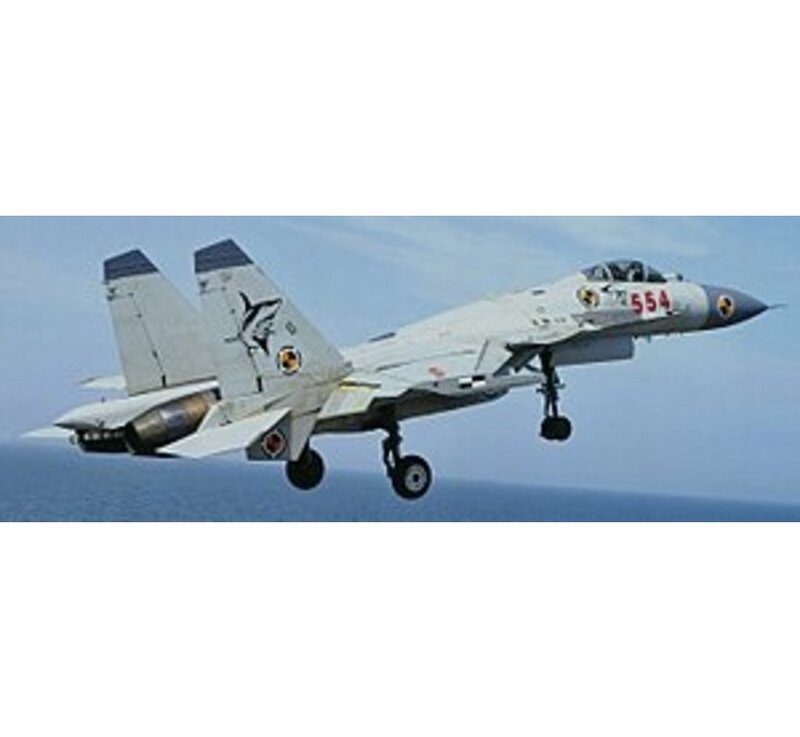 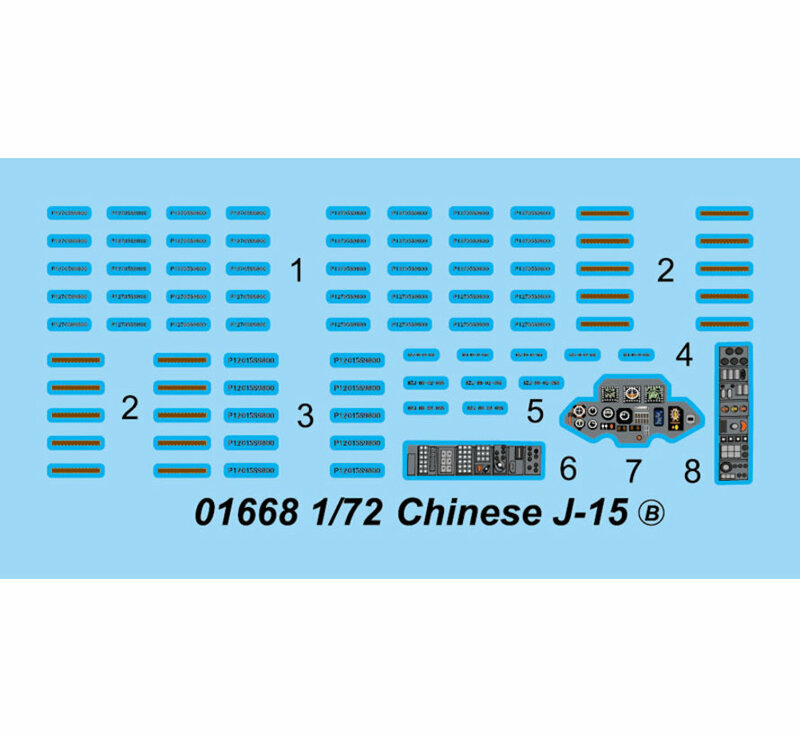 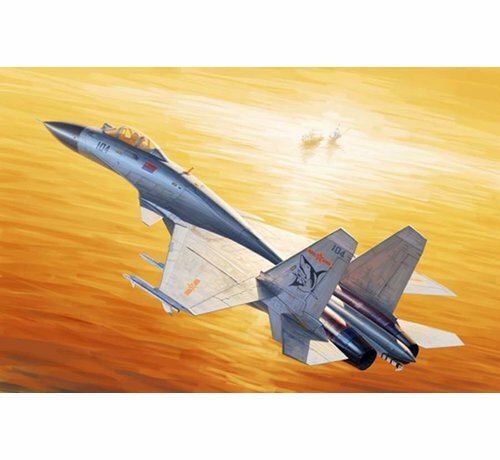 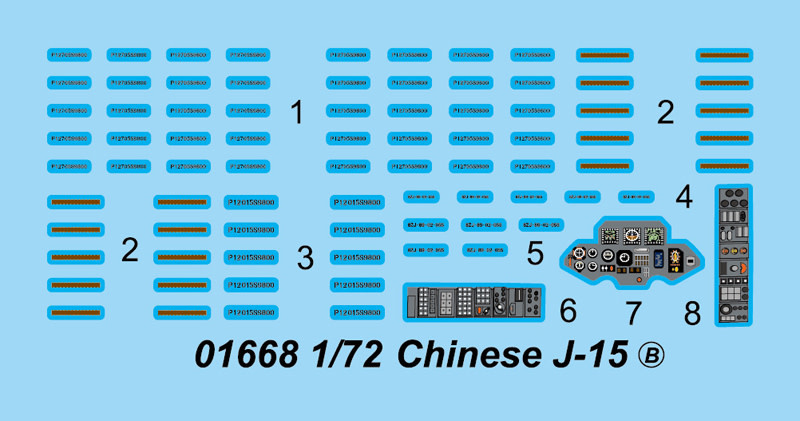 Shenyang J-15 The J-15 is a carrier-based fighter aircraft in development by the Shenyang Aircraft Corporation and the 601 Institute for the PLAN's future aircraft carriers. 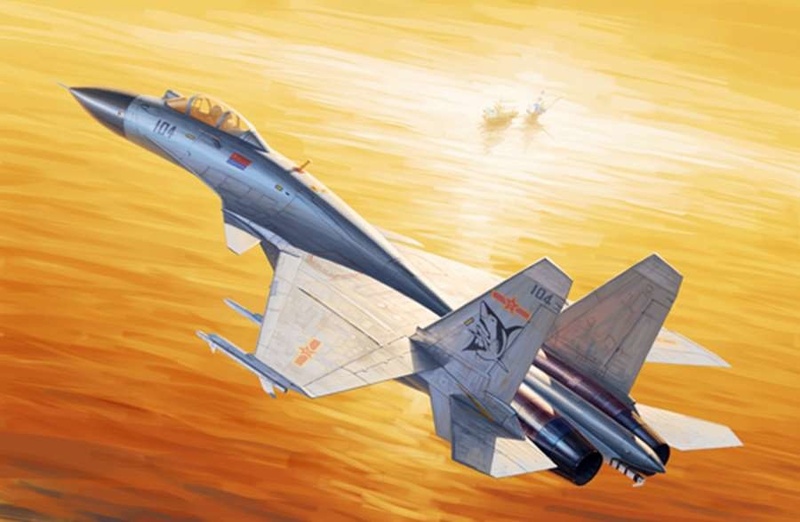 Rumors initially claimed the aircraft was to be a semi-stealth variant, yet later reports indicate the aircraft is based on the Russian-designed Sukhoi Su-33 and is fitted with domestically produced radars and weapons. 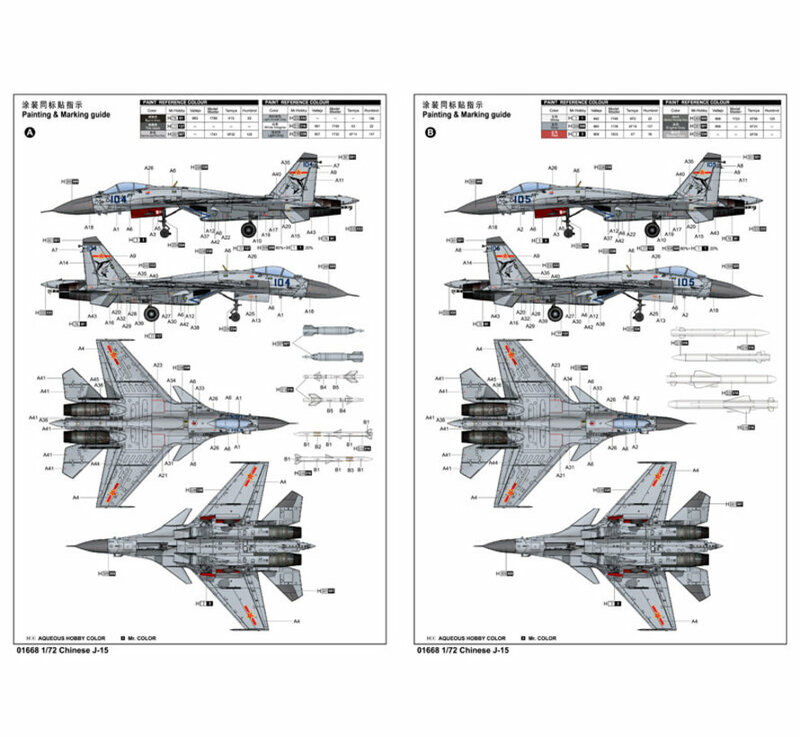 An unfinished Su-33 prototype, the T-10K-3, was acquired from Ukraine sometime in 2001 and is said to have been studied extensively, with development on the J-15 beginning immediately afterward. 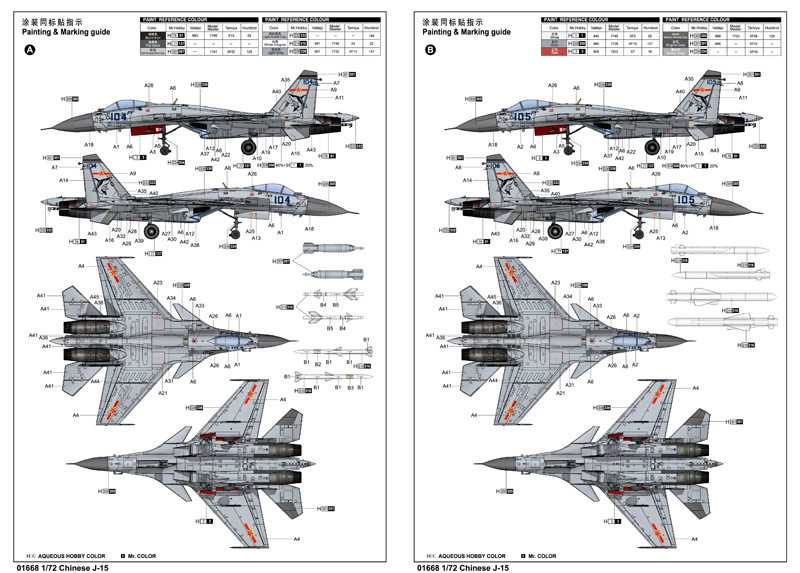 While the J-15 appears to be structurally based on the Su-33, it features avionics from the J-11B program.